- 홍보 및 기록을 위한 사진/영상 촬영이 진행됩니다. - 행사 당일은 아카이브 열람을 포함한 미술연구센터 사용이 어려운 점 양해 부탁드립니다. • Registration has to be made individually. • It is available to enter the forum from 1:30 PM on the day after check-in at the entrance of the Art Research Center. • Photography and video recording is carried out for the purpose of promotion and archive. 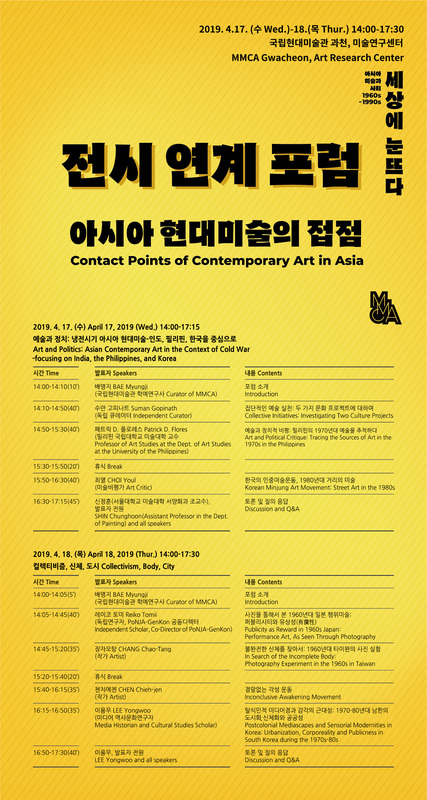 • Please understand that the Art Research Center is not available to use during the forum.